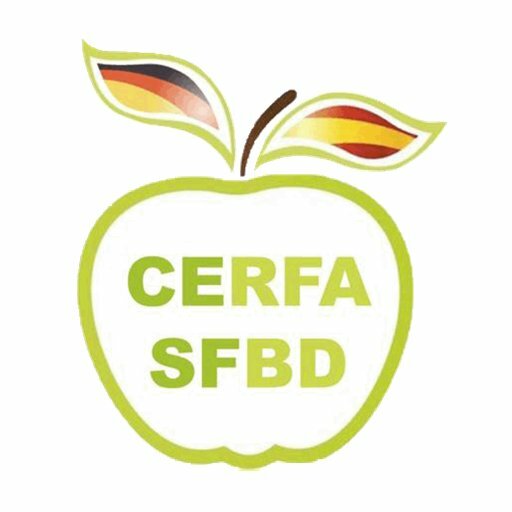 The Society of Spanish scientists in the Federal Republic of Germany (Cerfa) was born in 2013 to bring together Spanish researchers residing in Germany through a partnership for scientific purposes, independent and non-profit. Currently, we are more than 700 subscribers. Germany is one of the European countries that invests more in science and technology, strengthening its R &amp; D and promoting its great scientific institutions to cope with the financial crisis. Among our objectives is to serve as a networking platform for scientists, disseminate science or propose improvements for the Spanish R &amp; D + I system. Packing is not easy, but we can help you make the change a worthwhile experience, we hope! If you are científic@ and have chosen Germany to develop professionally, you may be interested in being part of Cerfa! We have sponsors who support us with funds and/or media coverage to carry out our mission; such as the Ramón Areces Foundation, the FECYT, the DAAD or the Spanish embassy in Germany. Article 1.-Denomination the company will be called "Society of Spanish scientists in the Federal Republic of Germany Cerfa/SFBD". It shall be an association for scientific and non-profit purposes and shall be governed by the present statutes and in them not disposed of, by the legal provisions applicable to them at any time. This company shall be referred to as "Cerfa" in this document. Article 2.-Duration The company will have an indefinite duration, beginning at the beginning of its operations the day following the granting of its constitutive deed, without prejudice to the legal consequences envisaged for the Acts and Contracts held on behalf of the company at a time prior to its official constitution and registration. Article 3.-Registered office. The registered office is located at the Spanish Embassy in Berlin, Calle Lichtensteinallee, number 1 – 10787 Berlin, as this is the place where its effective management and administration lie. The transfer of the registered office must be agreed by a majority in a General assembly. Article 4.-Objectives. The aim of the company is to promote science and the Spanish scientists who carry out their work in the Federal Republic of Germany as follows: I. Serving as a professional network for Spanish scientists II. Initiating and maintaining discussions and discussion forums with relevant scientific authorities, both Spanish and German. iii. Facilitating possible scientific collaborations and improving communication between the different foundations, universities, research centers, private companies and similar institutions based in Spain and Germany IV. Raising awareness of Spanish society of the importance that R &amp; D and the "knowledge economy" has for the prosperous development of the country. V. Facilitating contact between CERFA members and the various media outlets, both in Spain and Germany. Saw. Exercising an informative and consultation paper on scientific aspects for different organizations in Spain and Germany VII. Following any matter of interest related to science and innovation that is created timely. 4.1.-The activities enumerated may be developed by the company in a direct or indirect way, in whole or in part, by means of participation in companies with similar or identical object. Under no circumstances shall the Cerfa be associated with any political party in the course of its activity. Article 5.-The members of the company, with no limit of number, can be of three types: founders, numerals and honorary. Article 6.-The founding members shall be those who have signed the founding act of the company. The disposition of a founding member shall be of a life nature, although it does not grant the legal status of membership, nor the right to participate in the governing and administration bodies of the same, being exempt from all obligations. Article 7.-Numbered members shall be all those members who meet the requirements established by the CERFA and are up to date on the payment of their dues. Article 8.-for admission as a numbered member, a request must be applied to the board of Directors through a letter addressed to the Secretary. This application shall state the current physical address, its Curriculum Vitae, current workplace and institution in which the scientific activity is carried out, the scientific area in which it works, as well as the nationality of the applicant. Article 9.-All applicants, to be a member of the company, must accept each and every one of the articles of these statutes. This will be indicated in the application sent to the Secretary of the company. All applications sent to the Registrar shall be approved by the board by a simple majority within a period of no more than 3 months from the date of receipt of the application. After three months, if the board has not ruled on this, it will be automatically discarded. Article 10.-To be a numbered member of the company, it will be indispensable that the applicant resides or is carrying out, at the date of approval of the membership, his scientific activity in the Federal Republic of Germany. This scientific activity can be carried out in any institution, company or corporation based in that country. Article 11.-It is indispensable requirement for any member of the company to possess, or have possessed, Spanish nationality. Article 12.-All the members of the company must pay an annual subscription fee decided by the board of Directors. This fee must be paid annually with validity from January 1 to December 31 of the year of subscription. No member of the company will be admitted until the first annual fee has been satisfied. If a member is admitted to the company after 1 October, that member shall not pay the fee for that year and will be placed to pay the next year's fee. Article 13.-The honorary members may be both Spanish and foreigners. They will be proposed by the Board to the General assembly, and the favorable vote of two-thirds of the members present is necessary. The honorary members of the company will have all the privileges of the numbered members but will not have to pay the annual subscription fee. The appointment of honorary member is of a life nature. Directive of the company (see title III, Chapter IV, in relation to the delegations of the company). Article 15.-Persons who, at the request of the CERFA, participate in their activities and purposes may be accredited as collaborators. People who wish to participate in the CERFA activities, but who do not qualify for a number of members, may also be appointed collaborators. Article 16.-The collaborators of the company will be able to enjoy some privileges that have the numbered members (decided by the board of Directors in simple majority) but they will not be considered members of the company; They shall be exempt from payment of membership and shall not have the right to participate in the General Assembly of the Company nor shall they be allowed to vote at the CERFA general meetings. Article 17.-Any company or society with a profit that has an interest in collaborating or participating in the company must request a "corporate association" with the Cerfa. The benefits and level of such "corporate association" will be decided by the Board of Directors and approved by a simple majority in the General assembly. Article 18.-The responsibilities of the members of the Company shall be as follows: I) abide by these statutes. Accept the decisions taken by the Board of Directors and the General assembly. Pay the annual fee within the period established for it. Contribute to the purpose of society, admitting its coordinating, planning and disseminating function. Participate in the scientific activities of society VI) attend the General assembly. Article 19.-All the members (except the collaborators) have the right to: i) to participate in the scientific and cultural activities promoted by the Cerfa and in the social acts that are organized for all the members, under the conditions that are established. To possess a copy of these bylaws and to be aware of the agreements adopted by the governing bodies. III) to challenge the agreements and actions contrary to the statutes, within the period of forty calendar days, counted from the one in which the plaintiff had known, or had opportunity to know, the content of the contested agreement. To know at any time, the identity of the other members of the society, the State of accounts and income, and the development of the activity of this. To exercise the right of voice and vote in the general assemblies, being able to confer to that effect, their representation in other members. Apply for a low membership. VII) to participate, in accordance with these bylaws, in the governing bodies of the company, being elect and eligible for them. Article 20.-When a numbered member wishes to cause a decline in the company, he/she must communicate it to the Secretary through the relevant form. That member must be up to date on his/her annual fee payment. If you do not apply for a drop before December 1st, the membership will be automatically renewed. Any member whose annual fee is pending payment for more than one annuity, having been notified by the Board of directors in a relevant manner, will be suspended as a member until catching up on the annual fees. Article twenty.-If a member of the Cerfa is expelled from his job for dishonest behavior or is under investigation by a professional college or other regulatory authority or, in the opinion of the Board, has acted in a manner detrimental to the Reputation of the company, the Board of Directors shall have the right to cancel the membership (by a simple majority of the votes) in a precautionary or definitive manner, with immediate effect. Article 22.-If a member performs any illegal, fraudulent act (or has any purpose illegal or fraudulent in its effect), or breaches any applicable law, the Board shall have the right to cancel membership (by simple majority of votes) With immediate effect. Article twenty.-In the event that a member of the company Defames, harasses, threatens, abuses, offends, violates privacy, or incites violence or hatred against any person or class of persons, or that may result in civil or criminal proceedings, the Board of Directors You will have the right to cancel the membership (by simple majority of the votes) with immediate effect. Article 24.-The General assembly has the right to cancel the membership of any member with immediate effect, by an absolute majority of the Members present in an assembly (provided there is a quorum at the time of the decision). Article 25 °.-The governing bodies of the company are the General assembly and the Board of Directors. For the fulfillment of the objectives of the company there will be the delegations established by the Board. Article 26 °.-The General assembly of the society is the deliberative and decision-making body of the company. Such an assembly may be ordinary or extraordinary. 26.1. The ordinary General assembly will meet at least once each year, coinciding with the scientific meetings at the place designated by the Board of directors, who shall convene it in advance not less than 30 days or more than 90 to the date of its celebration. The powers of the ordinary General assembly are those provided for in article 27 of these statutes. 26.2. The General assembly may also meet on an extraordinary basis, and prior summons in the form expressed, provided that it is agreed by the Board of Directors, or is requested in writing by a fifth of the ordinary members and honorees, expressing in the Request the matters to be addressed. The matters included in the agenda may only be dealt with in the extraordinary General assembly. 26.3. All members of the society may attend the ordinary and extraordinary General Assembly personally (with the exception of the collaborators). 26.4. In order for the Assembly, whether ordinary or extraordinary, to be validly constituted in the first call, it shall be required that they be present or duly represented (written delegation) at least forty per cent of the numerary members and fees Who are the only ones with the right to vote. In the second call, valid agreements may be taken irrespective of the number of members and fees and the majority of the adopt. 26.5. For punctual consultations, the number and fee members may also vote by letter or by electronic procedures in accordance with the Board's discretion. 26.6. Except as otherwise provided in these statutes, the agreements shall be adopted by a simple majority of the votes of the concurrent members, present or represented in the General assembly. 26.7. When the CERF dynamics so require, the board of Directors will be able to summon members to a virtual General assembly using the new electronic technologies. The virtual General assembly will be summoned by e-mail in advance not less than 20 days or more than 50 to the dates of its celebration. The agenda of the virtual General assembly will contain only the vote of a particular point previously discussed in the society's discussion forums. 26.8. Only the numbered members and fees may participate in the virtual General assembly; Members will have personalized access to voting via electronic security keys. 26.9. In order for the agreements taken by vote in a virtual General assembly to be valid, a participation of not less than half of the total number of members and fees shall be required. The agreements shall be adopted by a simple majority of the votes of the participating members. Article 27 °.-are attributions of the General assembly: 27.1. The election and approval of the Board of Directors. 27.2. The examination and approval, if any, of the annual report to be submitted by the Board of Directors. 27.3. The control and approval of the management of the Board of directors and of the delegations of the company. 27.4. To adopt agreements on any other matters which are subject to their deliberation and whose resolution is not attributed by these statutes to the competence of another body or member. Article 28.-members may challenge the agreements and actions of the company that are contrary to the statutes within 30 days, from the date of their adoption, urging their annulment and the preventive suspension in their case. Article 29.-The Board of directors will consist of 4 members, plus the directors of the company's delegations. All Board members will have the right to vote. 29.1. A Chairperson, a vice-President, a secretary and a Treasurer shall be appointed from among the members of the board of Directors. 29.2. The members of the Board of Directors shall be elected for 2 years between the numbering or honorary members, by a simple majority of the number and honorary members of the company during the General assembly. Article 30.-The Board of directors shall meet at least three times a year, matching one of them with the annual General assembly. The Quorum of the Board of directors necessary to take decisions shall be no less than 5 members, and it is essential that one of them be the President or Vice-Chairperson. The Board of directors may meet by telephone conference or other electronic means when its members consider it more convenient. Article 31.-The Board of Directors shall meet at the time of the scientific meetings and in all those opportunities which the President or one of the members deems necessary. The Board may consider and vote by mail specific proposals submitted to it by the president. 31.1. The calls for meetings of the Board of directors will be taken by the president at least 15 days before his/her celebration. Article 32 °.-Vacancies on the Board of Directors shall be occupied by the appointment of the President, after consultation of the Board between the list of number and honorary members and until the next election. Article 33 °.-. The agreements of the Board of Directors in session shall be adopted by a simple majority of the votes of the attending members. Article 34 °.-The Board of Directors responsible for the development of the activities of the Company shall be vested with the powers which are not expressly reserved for the General assembly or any other office. It corresponds to the board of Directors: 34.1. Designate the directors and Vice-principals of the various delegations. 34.2. Designate, organize or dissolve special commissions, groups or delegates to develop activities and/or execute the agreements adopted by the Board of Directors. The representative offices of the company must be endorsed by the General assembly. 34.3. comply with and enforce the bylaws and agreements adopted by the governing bodies of the company. 34.4. Prepare and approve the memory, accounts and annual budgets of income and expenses. 34.5. Administer the funds and assets of the Cerfa. 34.6. Establish appropriate procedures for the best and most orderly management of Cerfa affairs. 34.7. Proposing the statutory amendments and approving the procedure for designating the positions of the board of Directors. 34.8. Proposing social quotas. 34.9. The Board of directors pursuant to the proposed purposes shall consider the publication of scientific material such as papers, monographs and journals. 34.10. To ensure the confidentiality of the personal data of the members of the association. The Board of directors may make use of such data in the case of statistical analyses intended for the promotion of the Association, provided that the applicable privacy rules are complied with. Article 35 °.-Competes with the President: 35.1. The Executive Directorate of the Company. 35.2. Chairing the meetings of the Board of Directors and the General assembly. 35.3. Represent society to third parties. 35.4. To delegate their faculties to third parties with the approval of the Board of Directors. Article 36 °.-It is up to the Vice-President to replace the president in his absence, in which case he shall hold the president's faculties on the basis of his delegation or by a two-thirds agreement of the board. Article 37 °.-It is the responsibility of the Secretary to act as such in the General assemblies, sessions of the Board of directors and other meetings of the bodies of the company. 37.1. To raise records of the meetings and to carry the corresponding books. You must also make sure that the documentation of the company is safe and updated. 37.2. To carry the correspondence, registration of the members, and the dispatch of the General Affairs of the company. 37.3. To manage the requests of membership to the company and the communication with the new members. 37.4. Keeping the census of members of society up to date. Article 38 °.-Responsibility to the Treasurer: 38.1. Guarding the funds of society. 38.2. To keep the account of the entries and exits in the books of the company and to deposit the funds of the company in the name of the same one and to his order. 38.3. To give these funds a course when the board of Directors so requires. You can also do so at the request of the President who will report it later to the board of directors. 38.4. Accountable to the Board at regular meetings or when the Council requires it. 38.5. Replace the president in the absence of him and the Vice president. Article 39 °.-In addition to the President, Vice-President, secretary, Treasurer and directors of delegations, the delegate of the Spanish Embassy in Germany will be able to attend the meetings of the Board of Directors as well as a delegate of the CERU Society and CERU-Spain As well as any other Spanish society of scientists emerged from the CERU or the Cerfa. These delegates will not in any case have the right to vote, but they will be able to participate in the discussions of the board when it propitiates. Article 40 °.-when 20 or more numbered members are assigned to a delegation, they shall have the right to appoint a Director of delegation to represent them on the board of directors. 40.1. The functions of the various delegations are to ensure the correct functioning of the company at the local level and to organise certain aspects of the company on the basis of or decided by the board of Directors. 40.2. The number and honorary members of a delegation with more than 20 members may vote for a Director of delegation to represent them on the board of directors. Such Director shall be appointed by two-thirds of the members of the delegation. They may also appoint a deputy director to occupy the position of the Director in case of absence. Only the principal will be part of the Board of Directors (or the deputy Director in case of absence of the first) 40.3. The Director shall ensure that the decisions taken on the Board to the members of his delegation are correctly communicated. 40.4. The Director shall ensure the interests of his delegation on the Board of directors. 40.5. The Director and Deputy Director of the delegation shall be elected for a period of 2 years with the possibility of re-submitting as often as it deems appropriate. 40.6. In order to make any binding vote in a delegation, the quorum necessary for it to be valid will be 25% of the members of the delegation. The Director or Deputy principal must be present compulsorily. Article 41 °.-The delegations of the company will be the following: a) delegation Baden-Württemberg: composed by the state Baden-Württemberg B) delegation Bavaria: Composed by the state of Bavaria. C. Hesse, Rhineland-Palatinate and Saarland: composed of the state of Hesse, Rhineland-Palatinate and Saarland. D. North Rhine-Westphalia delegation: composed of the state North Rhine-Westphalia. (e) Saxony, Saxony-Anhalt and Thuringia: The State of Saxony, Saxony-Anhalt and Thuringia. f) Delegation Berlin and Brandenburg: composed by the city state of Berlin and by the state Brandenburg. g) delegation Bremen and Lower Saxony: composed by the city state of Bremen and the state Lower Saxony. h) delegation Hamburg, Macklemburgo-Western Pomeriania and SchleswigHolstein: composed by the states Hamburg, Macklemburgo-Pomeriania Western and Schleswig-Holstein. Article 42 °.-No delegation may act independently or without prior reporting to the Board of directors. However, after agreement by the Board of Directors, it will have some independence when organizing events and conferences within its territorial scope. Article 43 º.-The company lacks foundational patrimony. Article 44 º.-The social patrimony will be constituted by the dues of the members, the surplus if there is it of the scientific meetings as well as for all kind of subsidies, contributions and donations for free. Article 45 º.-The funds of the company must be deposited by the Treasurer and the president in banking establishment. Article 46 º.-The social funds will be destined, solely and exclusively, to the fulfillment of the ends of the company, under the responsibilities of the President and the Treasurer. Article 47 º.-When the expenses to be carried out have the consideration of extraordinary expenses must be approved by the Board of Directors. Article 48 º.-The resources obtained by the company, in no case can be distributed among the partners. Article 49 º.-Social exercises will begin on January 1 and will end on December 31 of each calendar year. The first social exercise, by exception, will begin on the day that the company starts operations and ends on 31 December of that same year. Article 50 º.-Within the maximum period of three months from the closing of each financial year, the Board of Directors shall formulate the annual accounts, including the Balance sheet, the profit and loss account, and the explanatory report, Management and the proposal for the application of the results, according to the valuation criteria and with the legal structure and regulations required, and where appropriate, the consolidated accounts and management report must also be drafted, which must be signed by all The members of the Board, in the absence of a signature which is the cause of their failure.